This Week in Houston’s Buzz: Kasino Royale 2017, 5th Annual Hip-Hop Heart Health Awareness Affair and More! 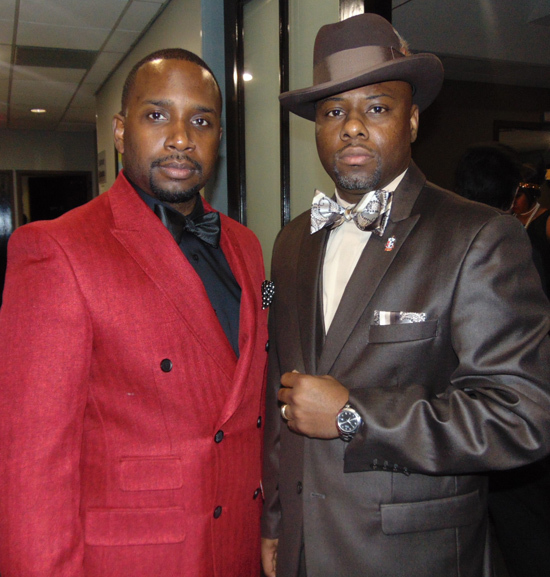 On Saturday, March 04, 2017, from 8:00 pm to Midnight, the Achievement Through Leadership Foundation along with the Missouri City-Sugar Land Alumni Chapter of Kappa Alpha Psi Fraternity, Incorporated recently held a fundraiser Kasino Royale 2017: Harlem Nights at the Houston City Club in Houston, Texas. 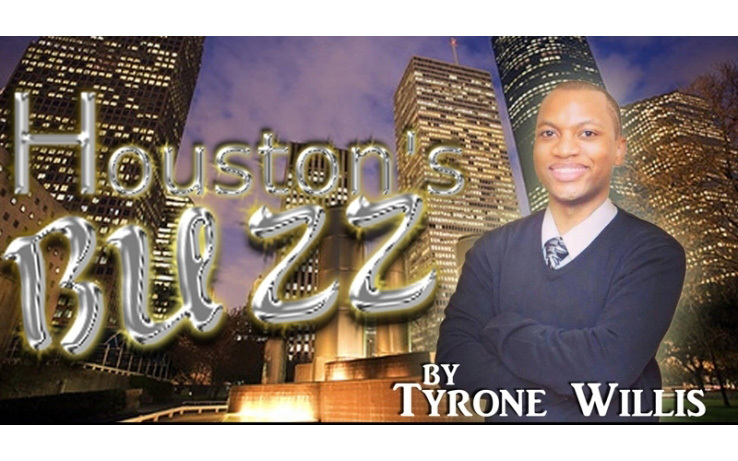 This event will help fund scholarships for deserving Houston-area youth that are college-bound seniors. 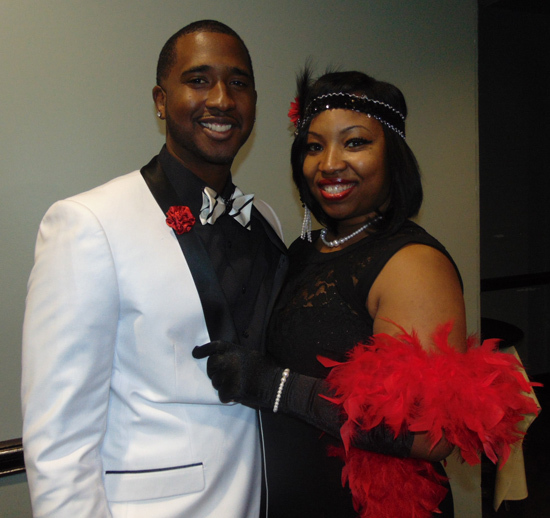 There were casino tables, a live band, dancing, dining, and drinks for an exciting night of pure fun. 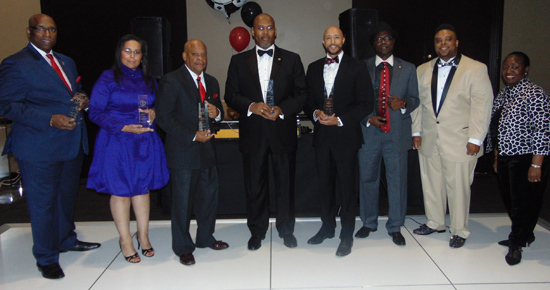 Congratulations to all of the Kasino Royale 2017: Harlem Nights honorees including Dr. Rodney Watson, Eugene Daniels, Kenneth Hines, Michael Love, Dr. Onedia Gage, and lifetime achievement honoree Reginald Randolph. 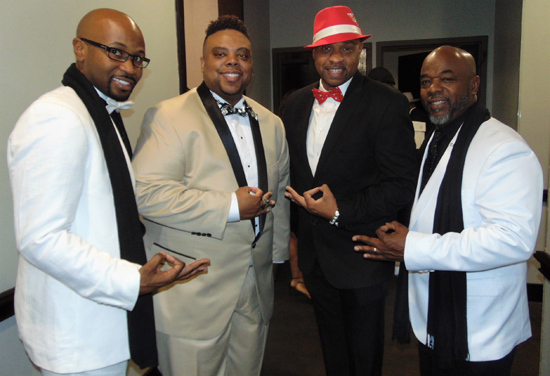 This event is one to be remembered! Bishop Bekah from Blessed Beatz, 93.7 The Beat, interviews Sassy Ladies at the Dr. Evelyn E Thornton 5th Annual Hip Hop Heart Health Awareness Affair. 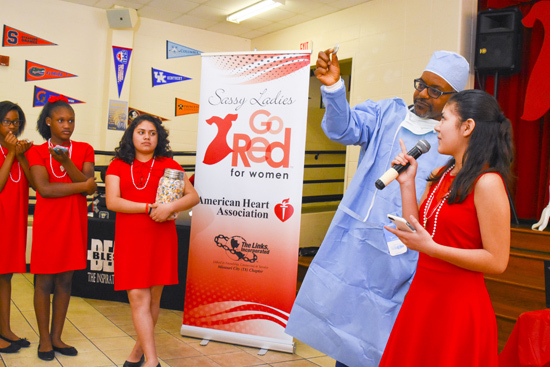 On Saturday, February 25, 2017, the Sassy Ladies Go Red ▪ The Dr. Evelyn E. Thornton ▪ 5th Annual Hip-Hop Heart Health Awareness Affair was held from 1:00 – 4:00 p.m. at Yellowstone Academy. 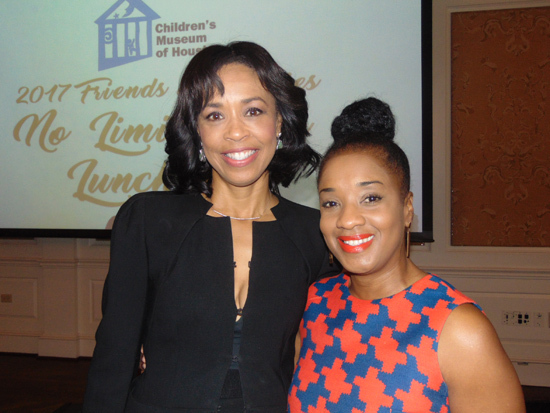 Dr. Wanda Mott-Russell was the Event Chair and Regina Hall Woolfolk was the Mistress of Ceremony. This is a community service project designed for student members of Sassy Ladies of Lawson Academy, Yellowstone Academy, CORE Academy, and Energized for STEM Academy. 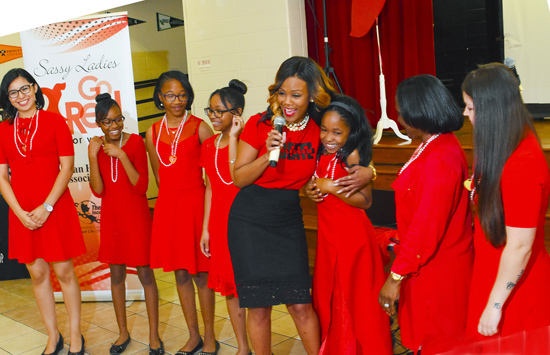 The Sassy Ladies are student members of the 2016-2017 “Passport to S.T.E.M.ulating Health Lifestyles” which is a multi-generational program designed for middle school girls to participate with their mothers/guardians and grandmothers. This program is sponsored by the Health & Human Services Facet of the Missouri City Chapter of The Links, Incorporated. 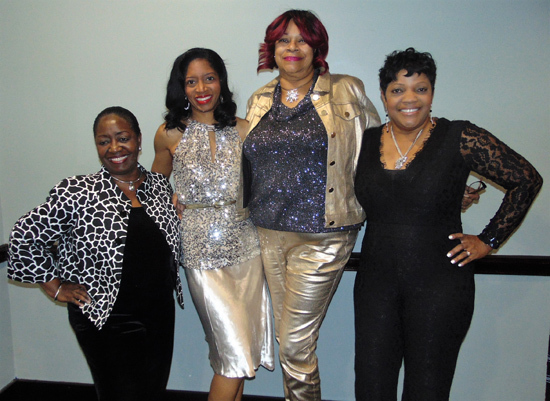 As one of eight Houston-area chapters, the Missouri City Chapter is an affiliate of The Links, Inc., an international, not-for-profit corporation with over 12,000 professional women of color in 281 chapters located in 41 states. Dr. Baxter Montgomery explains how heart disease is preventable and reversible with behavior modification that includes proper diet, exercise, and water. 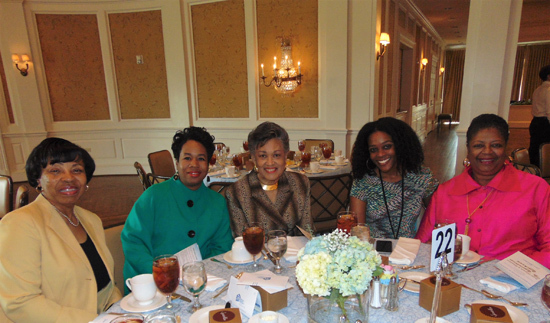 The Children’s Museum of Houston recently held its “No Limitations” 2017 Friends & Families Luncheon at the River Oaks Country Club on March 1, 2017. The Mistress of Ceremony was ABC-13 news anchor Gina Gaston-Elie. Rachel Regan and Millette Sherman were the Friends and Families Luncheon Chairs, and the inspirational gymnast Jen Bricker was the featured speaker. 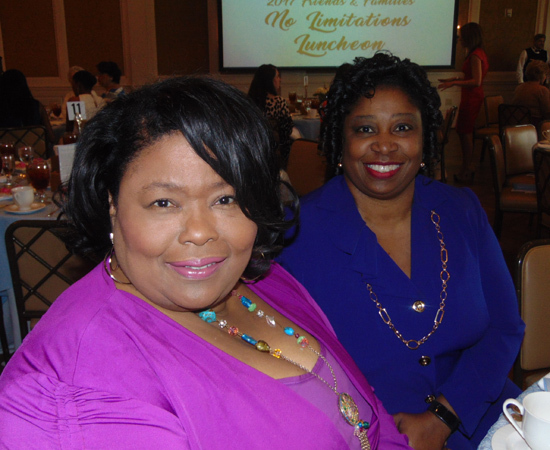 Nearly 400 people were in attendance at the 2017 “No Limitations” Friends & Families Luncheon and this luncheon raised more than $166,000.